Hello beautiful ladies! How is your week going so far? Do you have any special plans for the weekend? Since we are lucky enough with the weather this afternoon I’ll be going away from town to my boyfriend’s vacation house for a nice little getaway and a few days of yummy BBQs and sunbathing! 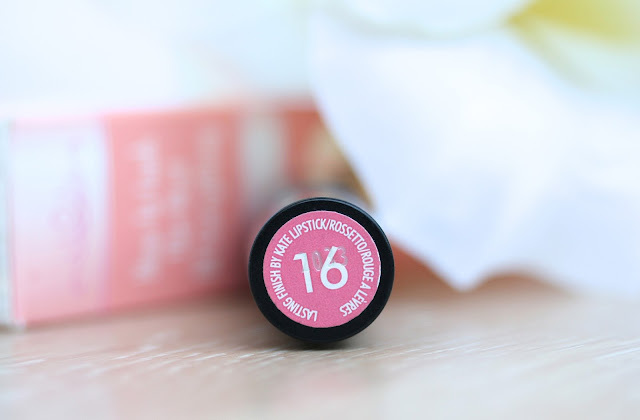 <3 For today I wanted to talk about a product, which I rediscovered my love with the other day and it is this Rimmel Lasting Finish Kate Moss lipstick in #16 ($5,19 / £5,49). Okay, stop rambling! The shade #16 (I hate it when they don’t have names!) is this beautiful pinkish orange-y coral, which depending on the lightning changes its color a bit, which I find so lovely! I adore iridescent colors like this! The lipstick doesn’t have any shimmer or glitter in it and gives a pretty semi-matte finish. 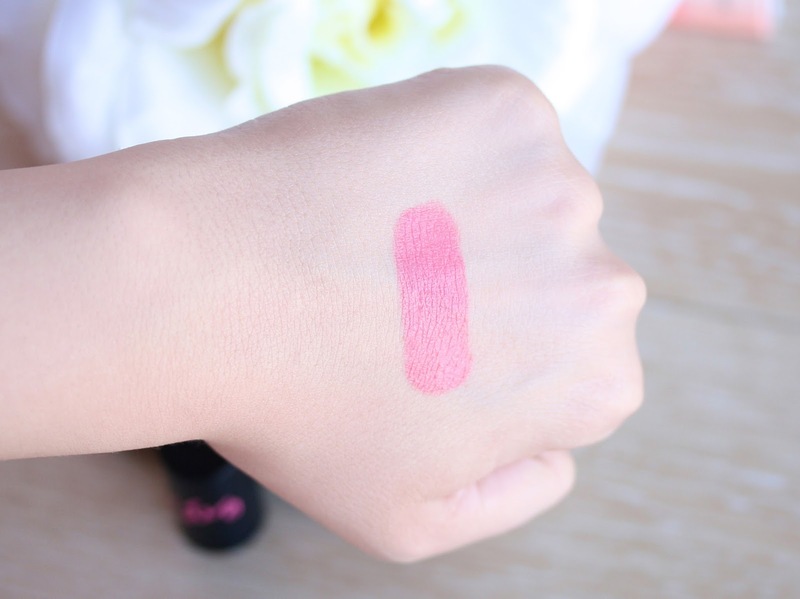 When the slight glossiness is gone though, the product leaves a nice tint of color on the lips, which is great if you prefer more long lasting lipsticks. I am aware that this bright shade may be a bit too much for some of you but I actually find that it is really wearable and perfect for daytime wear. I’d say that #16 is definitely a spring/summery color and so you know – it looks incredible especially if you are tanned! I’ve seen this shade on many different skin tones and I feel like it looks gorgeous on everyone and luckily it doesn’t wash me out at all, even though I’m so pale! As far as the formula goes, with this range I think Rimmel have definitely proven their ability to make incredible lipsticks! These products have such amazing formula, which surprisingly enough reminds me of YSL Rough Volupte a bit. I know this sounds odd, but the Rimmel ones are just SO creamy and hydrating, they never dry out my lips in the slightest. They apply like charm and glide on so easily and hustle-free. 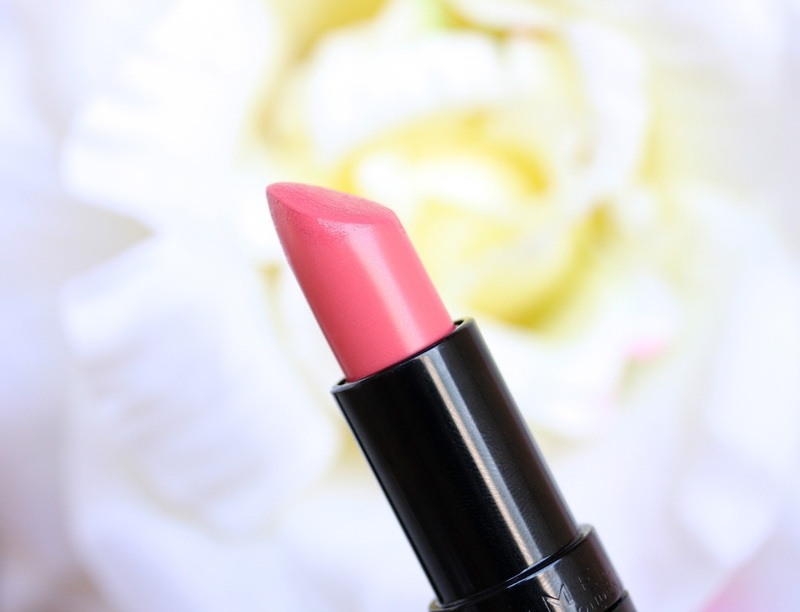 When on the lips, this gem feels super soft and smooth and not as if you’re wearing lipstick, which is certainly impressive! The lipsticks of this range are super pigmented and opaque and could be easily build up and don’t bleed at all! Another great thing about these is that they last for about 5 hours (Rimmel promise 8 but who is actually believing that?) on my lips, which is amazing and trust me – it’s very rare for me to find product with such lasting power! One thing I honestly am not fond about this lipstick is the smell. Oh my… why every time I find a product that works wonders it has to smell terrible?! I don’t know how to describe the scent cuz it’s quite weird but honestly it reminds me of perfumed herbs haha. I know, I know it sounds ridiculous but this is the only way for me to describe it! :D The bad news is that the smell is quite strong and actually lingers for a while but oh well…! On a brighter note though, the nasty scent stops me from licking the product off and so it lasts longer! ;) One more thing – I have never experienced this personally but I feel like this lipstick may accentuate any dry patches you may have on the lips. Have you noticed this before? Have you tried the Rimmel Lasting Finish Kate Moss Lipsticks before? What do you think of them? Do you like #16? Your blog is fab! Followed! Oh I love this colour so gorgeous! OH MY GAWD! That color is absolutely lovely!!! great review :) i have the 01 shade which is the deep red which kate is wearing in the adverts. love it! Oh gorgeos colour! These lipsticks are great! Gorgeous colour! I have on of the Kate Moss lipsticks from Rimmel and I love it but wow this colour is so pretty! I love the Kate Moss lipsticks, although I always tend to go for the bright reds and bright pinks. I may have to give this colour a try, it's adorable! I so find that if you have dry patches on your lips they look 10x worse, which is unfortunate for someone like me who suffers with dry lips and pretty much nothing helps. Waa! This looks like such an amazing shade! Such a pretty colour, I still haven't tried any of the kate lipsticks! I already have several of the Kate Moss lipsticks, and I love them all. This one is soooo pretty! I'll have to try and track it down. Perfect for summer. I know exactly what you mean with accentuating dry patches. I actually have a lot of lipsticks that tend to do that when being touched up. Luckily my lips are very easy to handle but I can imagine how annoying that must be to someone who is prone to dry lips. AWESOME review! I am dying for this lipstick! This colour looks fab on you! Love this colour- I really need to try the Kate Moss lipsticks! 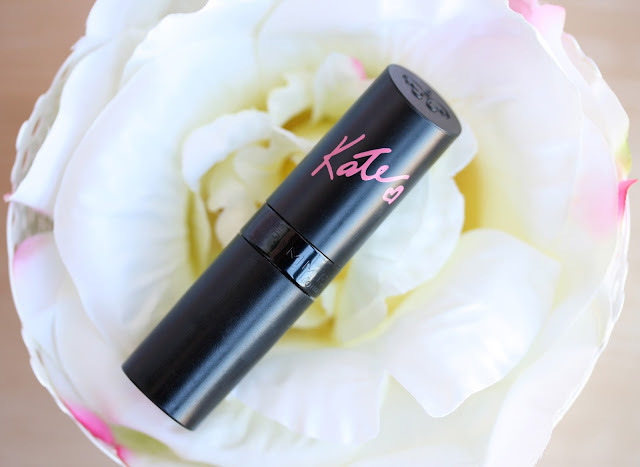 i absolutely love the kate moss lipsticks... this is one of my favourites!!! I have a super bright pink (shade 90) from this range and find it super pigmented. I did a post on how it's a dupe for a MAC lipstick. I'd love to get more but unfortunately they don't offer all the same shades in the US! You got a lovely color, hopefully you'll get a lot of use out of it! I hate the fact these lipsticks don't have names too! I'm a massive fan of these and this shade is gorgeous so it might need to be added to my collection. I love these lipsticks, especially the shade #12!! 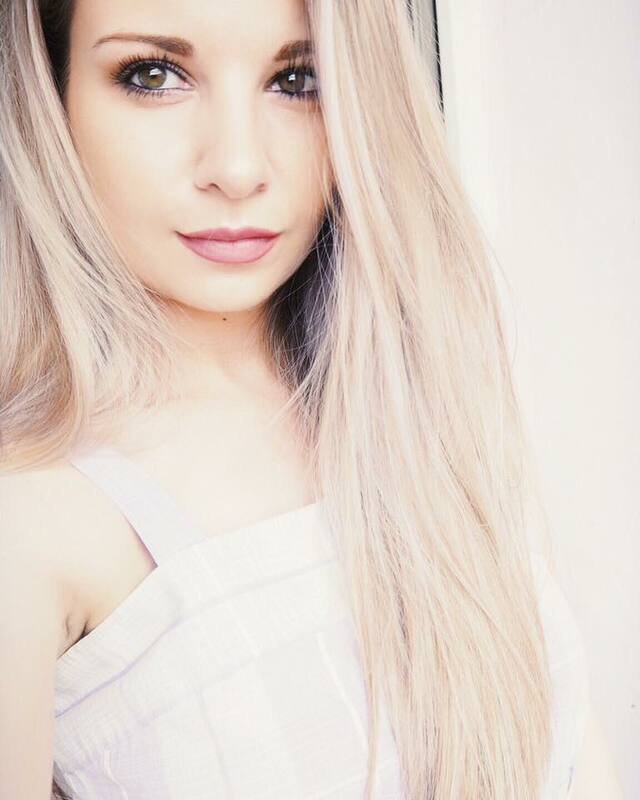 Love love the looks of this stunning pink shade, really suits you well. this is such a nice pink colour! it is intense enough that the colour shines through while it doesn't make you look ridiculously pink at all. lovely! I have extremely dry lips as well and I love this shade! I might have to pick one of these up for myself! Oh this review so makes me wnat to try this stunning lipstick! <333 Really love the colour, iridescent coral, how cool is that?! ^^ Just perfect, thanks for sharing my dear! Finally! I've been looking for this lipstick and I forgot what number it was (I hate when they don't have names either). Thanks for reviewing it, because you just made me want it more, haha! This shade looks beautiful on you, really compliments your skin tone. Ahh I just got my hands on number 12 and I love it! Thanks for the reccomendation hun'! Много, много красив цвят !